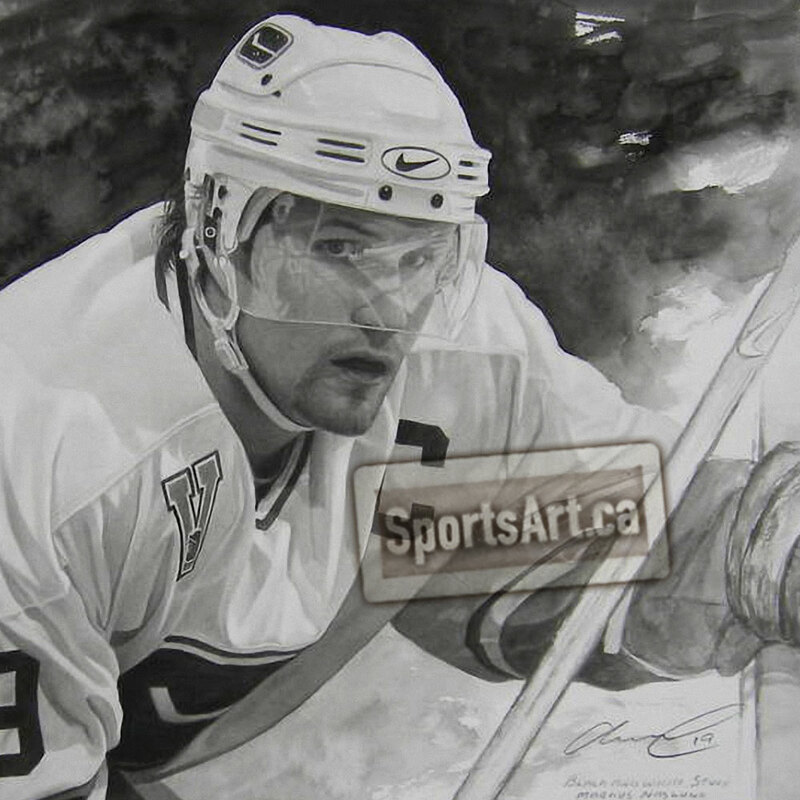 Former Vancouver Canucks Captain Markus Naslund signed this beautiful Glen Green painting. 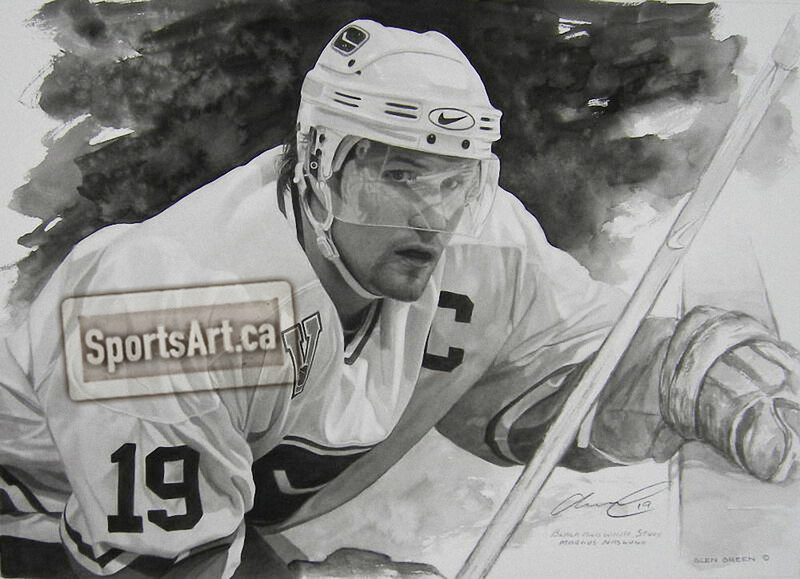 Naslund was a three-time NHL 1st All-Star, he won the Lester B. Pearson Award – most outstanding player as selected by his peers. The Canucks retired his #19. Original Signed Watercolour – 21×15"